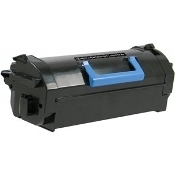 Order High Performance Dell B5460, B5465 Compatible Black Toner Cartridge 331-9756,331-9755, 71MXV, PG6NR, X5GDJ, 2TTWC To keep your printer running perfectly! Our USA Brand 331-9756 is in stock and ready to deliver. Call us at 619-684-5241. We work for you!